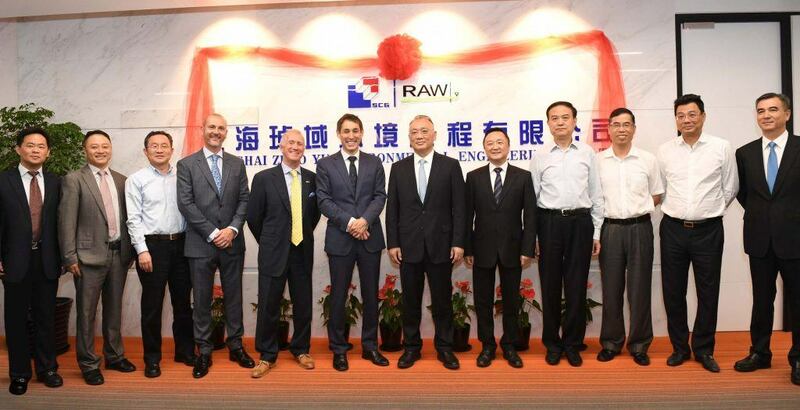 RAW UK is very pleased to announce that it has agreed an exclusive co-operation venture in China with Shanghai Zhuo Yu Environmental Engineering Company Limited, a subsidiary of Shanghai Construction Group. RAW UK has been developing business in China for 7 years and this venture brings all that experience together with Shanghai Construction Group’s undisputed engineering excellence. Zhuo Yu Environmental will exclusively use RAW’s technologies for the remediation of contaminated soils and waters, restoring and regenerating the environment in China.